By now, everyone is familiar with Minecraft. Even non-gamers have probably seen more than they care to of the ridiculously popular creative sandbox game. Since Minecraft seemed to take over the world, there have been an infinite number of shameless clones. Goodness knows how they're allowed to do it, but they do. It's not all bad though, as some developers have taken the core gameplay and introduced new elements to make it an actual new game worth playing. Sure, they still owe a lot to Mojang, but they at least try to mix it up a bit. 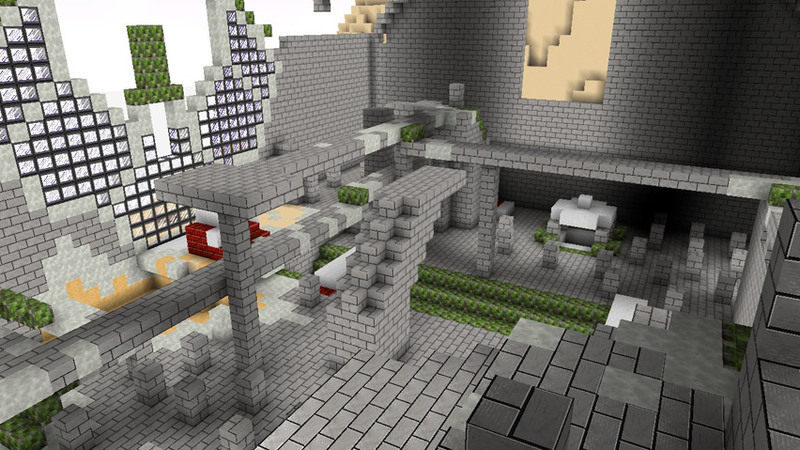 The latest of these games to hit the Steam store is Guncraft. And yes, it's exactly how it sounds. Imagine a mix of Minecraft and Battlefield, and you get Guncraft. Does the very odd mix of games work though? Read on to find out. 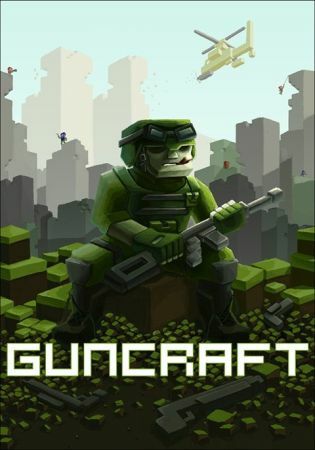 Guncraft is a strange FPS. The moment you start playing, it can be a little confusing. The shooting bit is obvious, that's not the problem. It's when you start using the gadgets and vehicles where you may become slightly lost. The grappling hook in particular was very confusing, as it's not really clear what you're supposed to do with it. This stems from the fact that there aren't really any in depth tutorials to help you out with all these different items, so you just have to work it out. To be honest, it's better to have to work a few things out than to have the game hold your hand all the way through, but there are a lot of things to do in this game, so just a few pointers would be very handy. 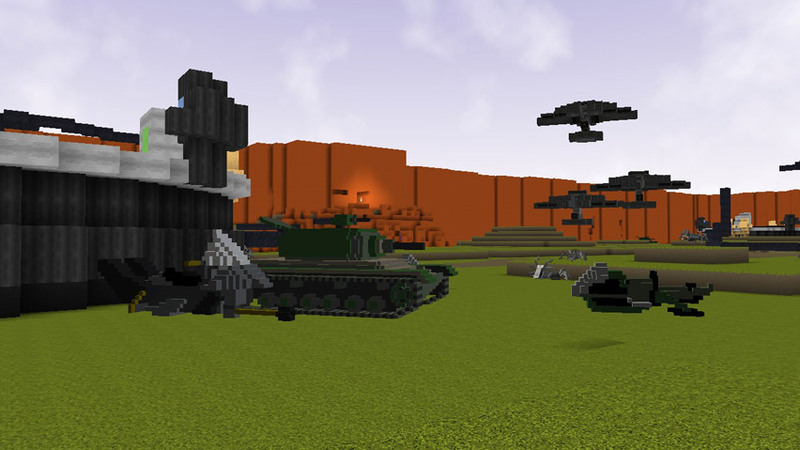 Aside from the tools, there are land and air-based vehicles to pilot. These can be damn hard to control, and more experienced players can easily destroy your vehicle before you've even had a chance to try and discover the control scheme. There's a wide variety of them though, and they're quite common so you'll get a lot of chances to improve your skills and maybe, just maybe, get a kill. There are a good variety of maps, ranging from cities to open grassy plains, and each one provides unique opportunities for not only each class, but for some creativity. You see, each map is basically a small Minecraft-like world, meaning that you can destroy and build blocks on the fly. Map deterioration in a FPS is not at all new, but building? That's pretty rare. So if you wanted, you could burrow under the enemies base, dig through the floor and blow them up with an RPG. If that's not your style, you can build walls and shelters for yourself and teammates, meaning that you potentially have cover no matter where you are. This is where the game comes into it's own. Otherwise, it's just another shooter. It's not just structures you can build, as you can actually build your own weapons. You can literally set your imagination run free, and then use it as a gun. Literally anything. Playing online you'll see some incredible examples of pure creativity. You can still play the game perfectly well without building your own weapons, but it's a nice feature for those creative types who want to customise everything. You can build skins for your characters too, so prepare to see all kinds of awesome characters try to kill you. Guncraft really is a lot of fun to play. Even without all of the building aspects, it's a pretty solid shooter. It has vehicles, gadgets and a good range of standard weapons. And like Minecraft before it, it really does have infinite scope for expansion. That's the fantastic thing about all of the Minecraft clones. It removes barriers and makes things possible that other, more realistic genres could never even dream of. A game where the developer gives the keys to the player, and allows them to do whatever they can. Only your imagination will limit you.